In a desperate bid to protect all of reality, Adam Warlock once gave the Reality Gem to the Mad Titan Thanos. Years later, that decision has come to haunt Adam — Thanos is on the verge of becoming the lord of all reality! Only Thanos’ troublesome brother, an errant troll and a strange trick of resurrection stand in his way… or so it seems. For deep within the Titan lurks an abnormality – a torturous second existence. A rebellion within his very soul! And so it may prove Thanos himself who fights most intensely against his own future! 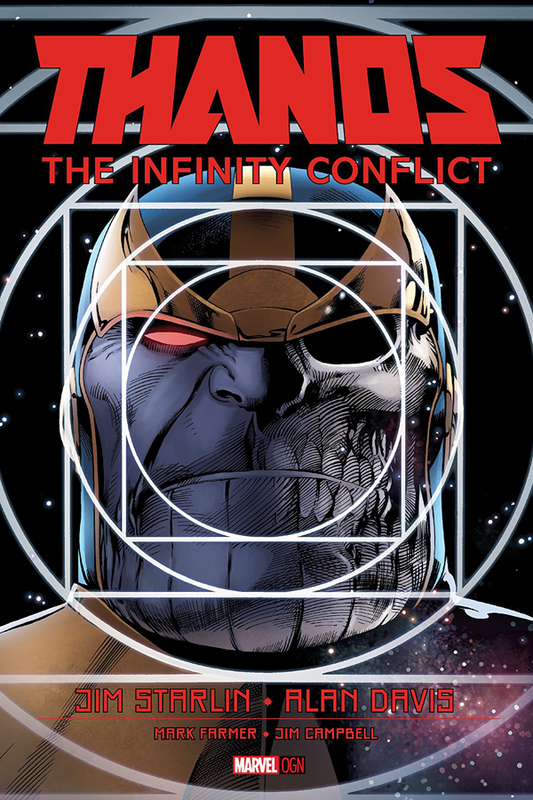 Jim Starlin and Alan Davis return to the epic story that began in The Infinity Siblings. Don’t miss the second volume of Starlin’s wildest adventure yet!